What Makes an Enjoyable Battle System? I have written before that I prefer turn-based battle systems over action orientated ones, but some designs are better than others. Back when turn-based was the popular choice for RPGs, many developers came up with extremely creative ways to add new mechanics to the traditional systems. Some relied on deep character customisation, while others added team attacks and summons spells to make battles more epic and interesting. The following games made combat fun with game play ideas that were well implemented and developed. Regarded now as a classic, the second game in the Suikoden series build on the foundation of its predecessor and offered tradition RPG battles, Scissors, Paper, Rock style one-on-one duels and massive scale grid-based strategy war combat. The variety was great and the different combat styles fit in with the story, but even the regular battles were full of strategy and new mechanics. Firstly your battle party could consist of up to 6 members out of a possible 108 recruit- able characters, offering a lot of diversity in how you customised your party. Another mechanic that worked well in turn-based battles was that your characters would overlap their attacks resulting in more intense combat and the ability to combine certain characters attacks. The range of options in Suikoden II kept the game feeling constanly fresh and new. The Final Fantasy series has made a name for itself by reinventing its battle mechanics in each new iteration. The seventh installment saw the implementation of the Materia System. 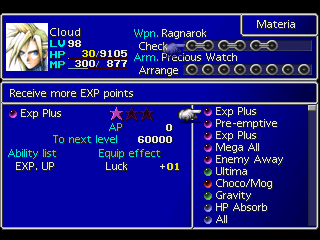 What seems at first like a simple way of equipping your characters with magic, actions and stat boosts, becomes a system that enables you to link Materia into infinite combinations. Weapons and armour come with empty slots to fill with Materia that you can purchase or find on your quest and many of them come with linked slots. 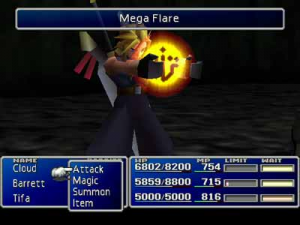 Combining the Lightning Materia with an All Materia means you can cast a spell that targets all enemies, but if you also combine it with HP Absorb, then you will also regain health when you cast the spell, but then if you also use the W-Magic Materia you are able to cast that spell twice and regain health each time, then if you combine it with MP Absorb… you see where this is going? The Materia system is simply the best customisation system utilised in any RPG, as it is both intuitive and simple to learn, but extremely complex and dense all at the same time. As the most recent game released in this article, it proves there is still plenty of ways to make turn-based battle systems relevant in the modern era. 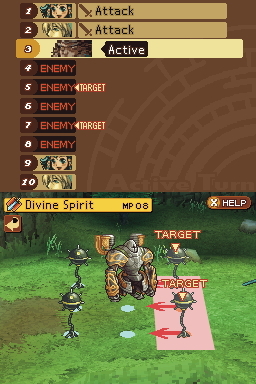 Radiant Historia places enemies on a 3-by-3 grid and your characters can knock the enemies around the battle field or stack them on top of each other to allow your other characters’ attacks to hit multiple targets at once. The most interesting addition though, is the ability to manipulate the turn order of battle. When it is your characters’ turn you can opt to swap it with any other character, so you can exchange your turn with an ally that can heal the party when desperate, or you can even give up your turn to the enemy in a strategic ploy to line up your characters turns together to enable you to perform a combo attack. These strategies become very important in boss battles and are often the deciding factor between winning and losing. There are a number of features that can keep combat engaging, fun, strategic and challenging. Over the years RPG mechanics have evolved, but I often think that designers should take a note from battle systems of past and see how they used creative features to expand upon an old formula and make it feel new and exciting. What have been some of your favourite battle systems in RPGs? 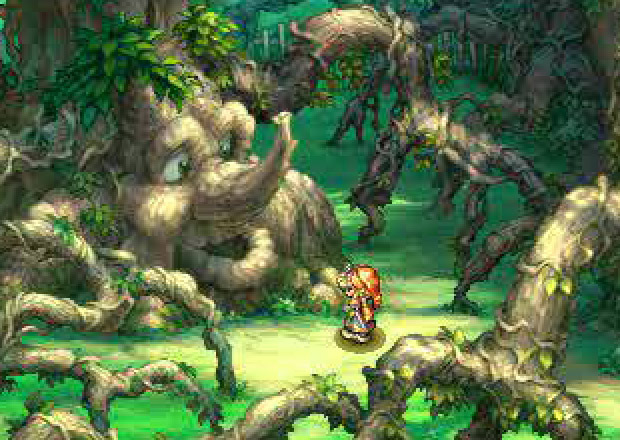 The music in Legend of Mana perfectly paints a whimsical dream world. Shimomura created magical town themes, fast battle music, peaceful and beautiful piano tracks and a fantastic vocal piece to bring the magical world to life. The soundtrack of Radiant Historia is relatively small, but includes a lot of quality. Like the game itself, the music evokes memories of past RPG classics. It features mysterious piano and violin tracks as well as frantic battle themes that enhance emotional parts of the narrative. 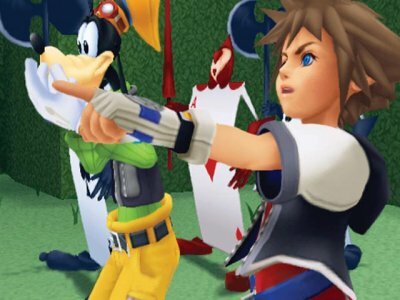 Kingdom Hearts soundtrack is an impressive achievement as it manages to blend the themes of Disney’s motion pictures with Square’s RPGs. Shimomura created careful arrangements of iconic Disney compositions as well as memorable original pieces. 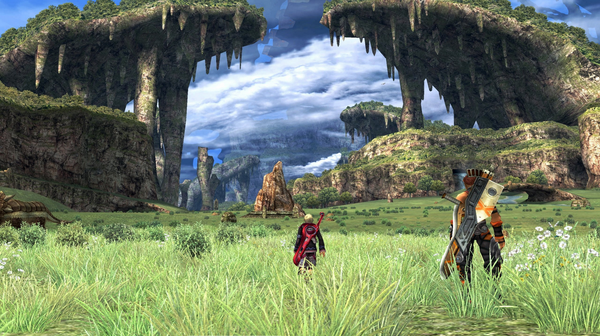 Recently released, Xenoblade’s soundtrack is a collaboration between many composers including Shimomura and Yasunori Mitsuda. Shimomura contributes a magnificent main theme, stirring town music and energetic battle themes. The oldest soundtrack on this list, but it really shows Shimomura’s diversity. 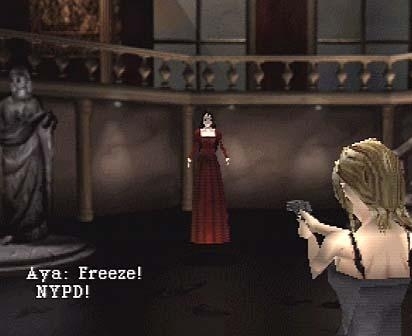 The music of Parasite Eve is experimental and wonderfully combines beautiful piano melodies with techno electronic sounds. It creates the perfect haunting atmosphere for the more intense parts of the game. Radiant Historia is a turn-based RPG released on the Nintendo DS that is filled with the spirit and wonder of classic Super Nintendo RPGs. 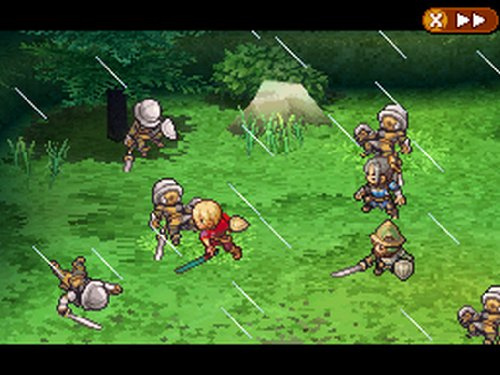 Radiant Historia’s presentation is a throwback to the imagery of 16-Bit RPGs such as Chrono Trigger and Final Fantasy VI. Like Chrono Trigger, its main feature is a complex time-travel mechanic, but it also combines an involving story, wonderful music and an innovative battle system to produce one of the best RPGs released in a long time. Not only does Radiant Historia feel like celebration of the past, but it also tries to move the genre forward with innovative new ideas. 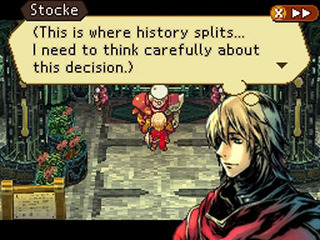 The narrative of Radiant Historia is intriguing and well written. It features two kingdoms at war, as well as the impending destruction of the world, but like the best stories it focuses on its well developed characters. Unlike a lot of RPGs, the main character Stocke is an intelligent secret agent that is driven by the mission and knowledgeable about the world around him. It feels like you are in control of a harden professional instead of an average teenager destined to save the world. 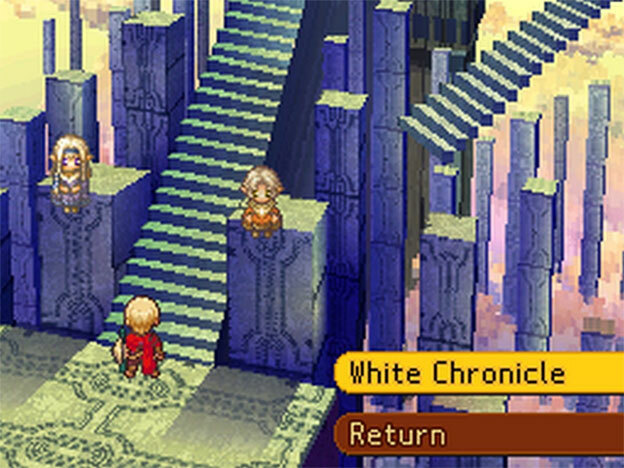 Radiant Historia’s greatest strength is the ability to use the White Chronicle to travel through time and to an alternate reality to mend the time-line and solve problems essential to the plot or complete the many side quests. The time travel mechanic is well fleshed out and intuitive, making both the narrative and game play stronger because of it. 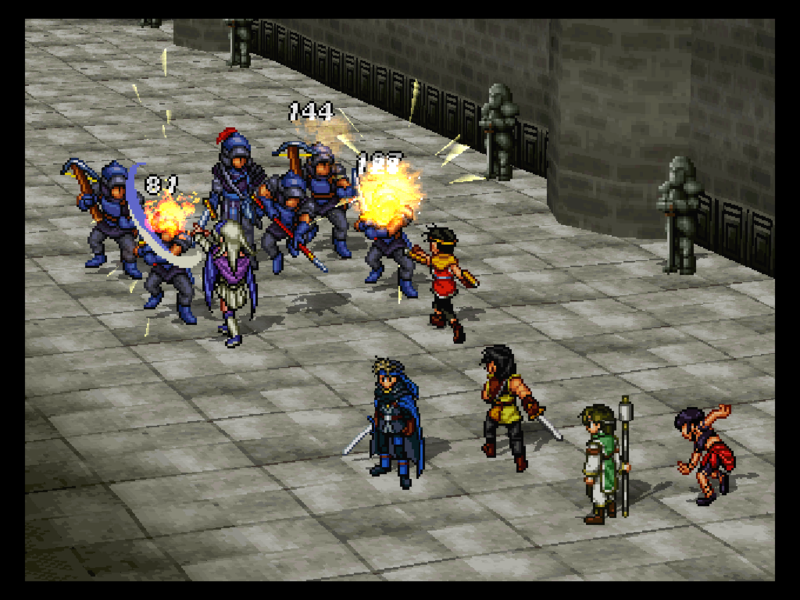 The turn-based battle system is a unique feature in the game incorporating strategy and thought. Enemies are presented on a 3×3 grid and you can move them around using your abilities and skills. By knocking enemies into the same space you can then attack them together increasing damage and speeding up easy battles. Boss battles require more strategy as some are immovable, use special attack formations or defend themselves behind barricades. Another aspect of the battle system allows you to move ahead of the enemies turn and attack them first at the risk of leaving your character extremely vulnerable and defenceless. It is the simple inclusion of these new ideas that keep combat exciting and engaging. Like the rest of the package, the soundtrack of Radiant Historia is small, but powerful. The music will also bring back fond memories of RPGs from the past, but the melodies are enhanced with updated technology. The tracks are full of violins and pianos and feature fantastic compositions such as the frantic “The Edge of Green” or the mysterious “Memories of the World”. The soundtrack is diverse and well used to add weight to the important and emotional parts of the game. 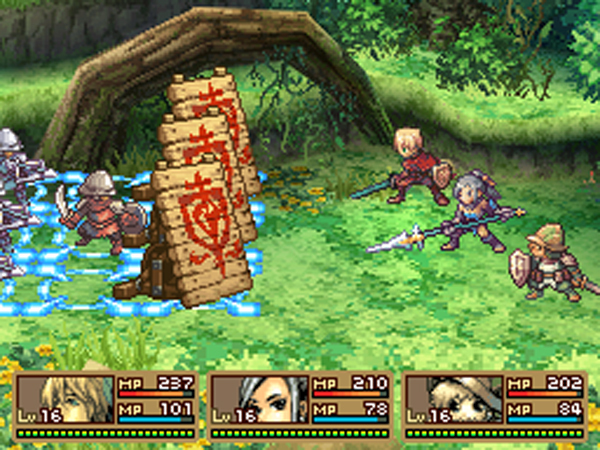 Radiant Historia is an RPG that can be favourably compared to the classics of the genre. If you wish to play an RPG that captures the spirit of the past and combines it with the best of today then you should play Radiant Historia.